The Dinner Meeting held on 12 April 2012 was a great success. 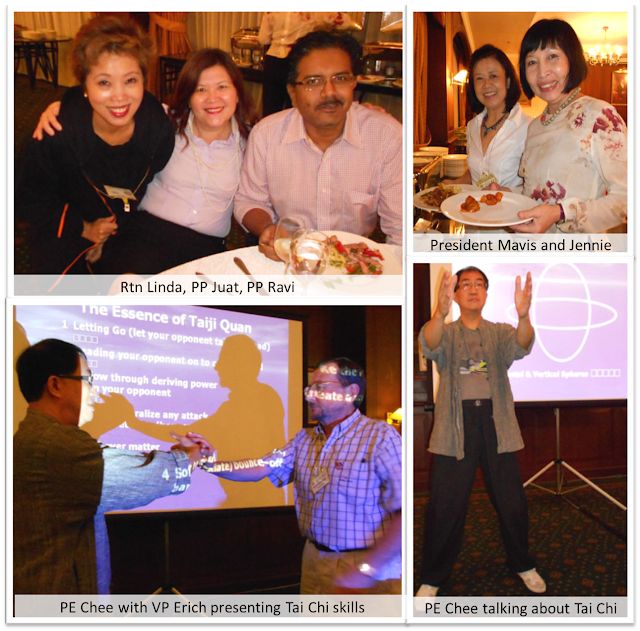 Thanks to PE Chee who gave a very good talk about Tai Chi, members and guests could learn more about that Chinese Martial Arts form. Furthermore, they enjoyed fellowship and nice food.